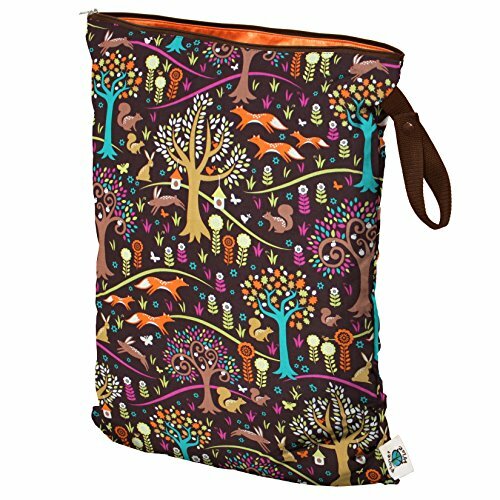 Cloth diapering is good for your pocketbook and great for the planet. While a bit of an investment up front, cloth diapering can save your family over $1,000+ per kiddo in comparison to buying disposables – and think of all of the diapers you’re keeping out of the landfills! Our main stash of diapers at our house are bumGenius 4.0 One Size. They are super easy, have adjustable snaps that adjust to fit your baby from birth through 36 lbs. and come with a full-size and doubling insert (for nighttime wear). The 4.0 One Size comes with either a velcro closure or a snap closure…I found the snap closure to be more difficult when our son was very little but super handy once his little hands started wanting to un-velcro his diaper. The velcro closures will also become “unsticky” over time and need to be replaced every year or so…another reason to go for the snap closures. Another cloth diaper favorite of mine is the Simplex All-in-One. It has an absorbent liner that is double-sided and super handy. For dry bums, flip the semi-attached microfleece insert on top to wick moisture. For potty training, use the 100% cotton side by tucking the insert into the pocket. So handy to have both options! We also love using pre-fold inserts with wool BioBottoms covers. You can also find wool covers on Etsy or choose a synthetic waterproof diaper cover. As babies get bigger, you might consider buying extra doubling inserts for increase absorbency for nighttime wear. Hemp and microfiber are both great for doubling. 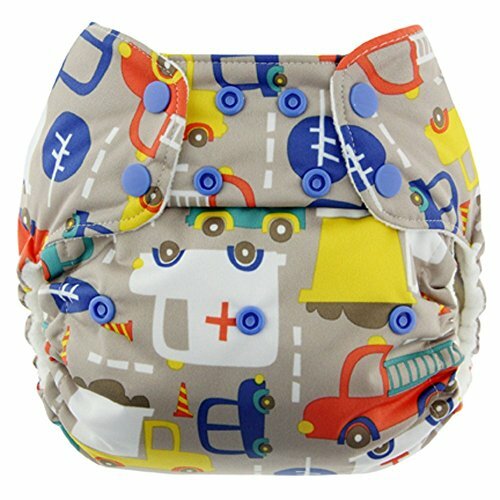 We have 2 wet bags (one Planet Wise Diaper Wet Bag & one Bummies Fabulous Wet Bag) in rotation, that get washed with the diapers. I like these brands because they have a zipper closure rather than a drawstring. While your baby is exclusively breastfeeding, there is no need to rinse or prepare your diapers for washing. A simple cold water wash cycle followed by a hot/cold wash with detergent will clean and disinfect your diapers. (Each manufacturer has slightly different washing instructions, so make sure to follow the recommended washing procedure.) Special cloth diaper detergent is available…or you can choose a regular “free and clear” natural laudry detergent (we used Method Free and Clear laundry detergent successfully). bumGenius diaper sprayer – spray wand that attaches to your toilet so you can easily spray off the diaper contents into the toilet. Bummies flushable liners – poops get trapped in the biodegradable liner, which you just dump in the toilet and flush. When out and about, my general rule is to bring 1 diaper per hour you be gone + 1 extra in your diaper bag. I like both the Seventh Generation Chlorine-Free Wipes or Whole Foods 365 Chlorine-Free Wipes for disposable wipes, which are also handy to have in your diaper bag for diapering/cleaning/spills. For soiled diaper storage while travelling, I brought along a medium-sized Bummies Fabulous Wet Bag. Now go out and buy some cloth diapers! When your shopping, keep your eyes peeled for a “buy 5 get 1 free” type of deals. 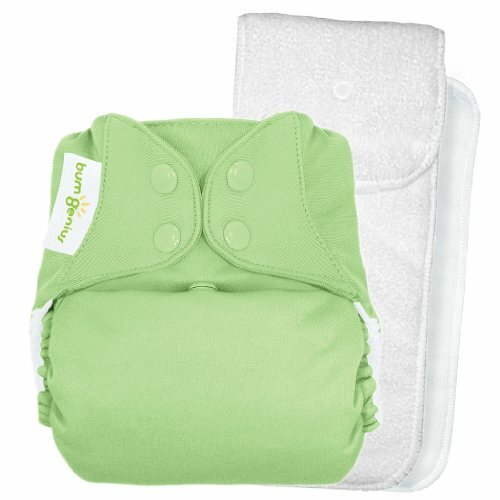 A couple sites that I like for diapering supplies are Cotton Babies, Thanks Mama, Granola Babies (also has a store in Orange County, CA), and Bundle Baby Shop (also has a store in Boulder, CO). There you’ll see other brands of cloth diapers, like Bummies, Thirsties, and Rumparooz.